At Burke Bros (Cheltenham) Ltd we pride ourselves in offering a professional and legitimate service to all our customers, whether they are a once only visit from a house holder or a daily collection from a local engineering factory. We keep up to date with all the relevant licences and regulations. Which you can view on this page below. Each transaction is accompanied with a 'waste transfer note' that covers the duty of care for the customer and scrap. Insurance certificates are available for those that need to see them. 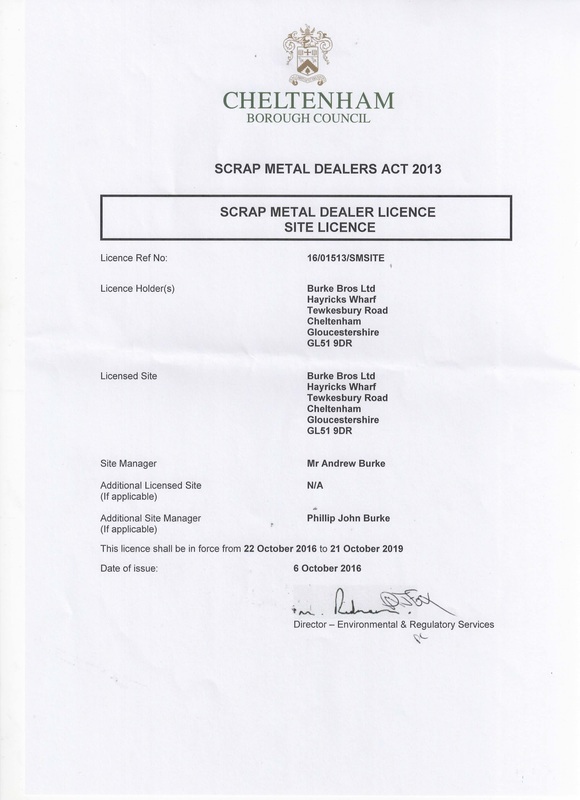 Hazardous Waste Site Licence No.